you have yet to encounter Svetlana Novikova's masterpiece: IMPASTO HAMSTER PAINTING #1.
hamser is something special, but then again, Novikova could make dried paint look interesting. "WOW! I luv it!!! You'll be seeing more of me unless my husband steps in." "A rare, unusual, extremely talented painter, magnificent work, true treasures"
"Now this is a 'to die for" watercolor - it IS realistic my Siamese hissed at it!" "Fantastic artist! This is my 4th, 5th, 6th & 7th of paintings by her"
"Nice work! Willie thought he was looking in the mirror! " "AWESOME GREAT can find the words to express how happy I am with purchase"
"MASTERPIECE.. I AM THRILLED. 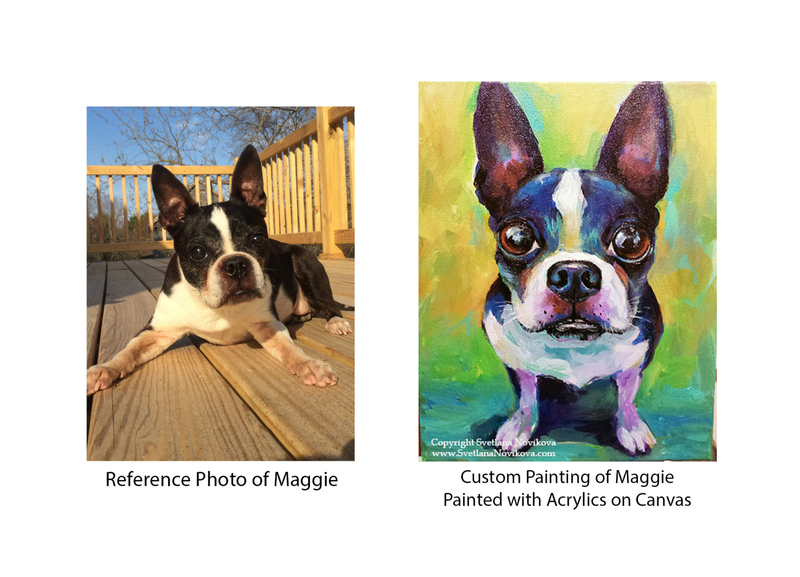 CAPTURED THE BASSET, TRUE TO FORM .A+++++++"
As animal lover, I love creating one of a kind eye-catching emotional Pet portraits. 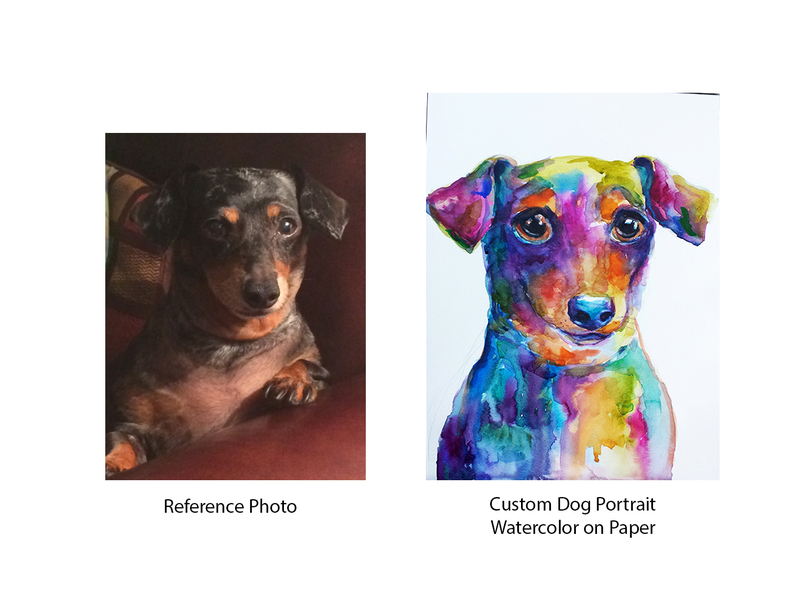 Whether it's a cat, dog, horse, lizard, rabbit, or bird, etc., when working on the custom portrait, I listen to your specific requests and get information about your pet to get a good feel of your pet's personality. 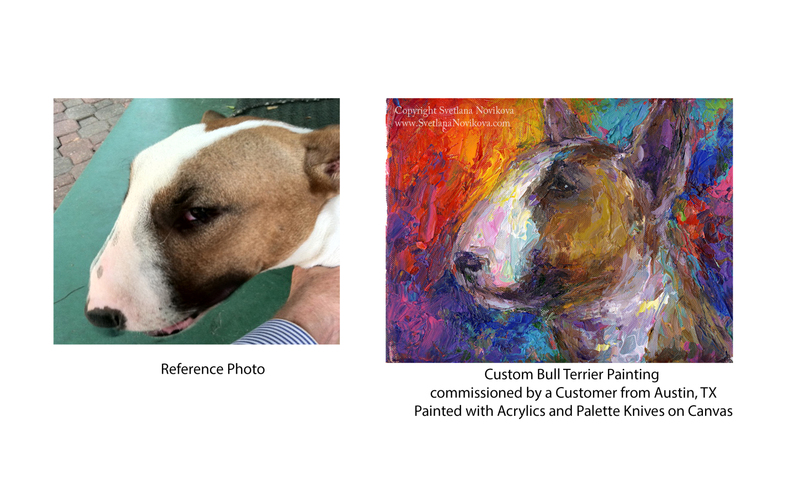 I've been painting animals professionally for over 20 years. My artwork can be found in thousands private collections worldwide. 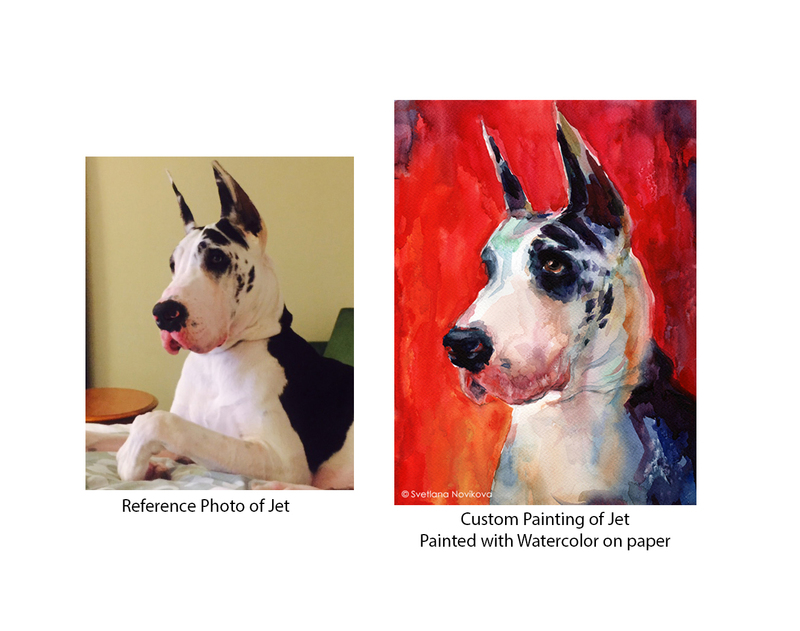 My customers often comment on how live and soulful their pets look in the paintings. 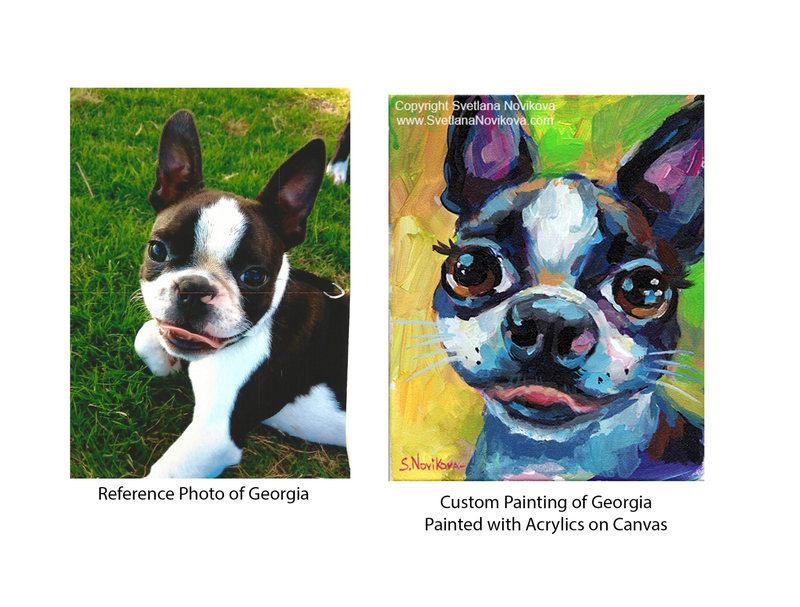 Classically trained in Russia, I combine traditional and modern techniques and my unique color method to capture a heart and unique personality of your cherished pet. I work with acrylics, watercolors, and dry media. 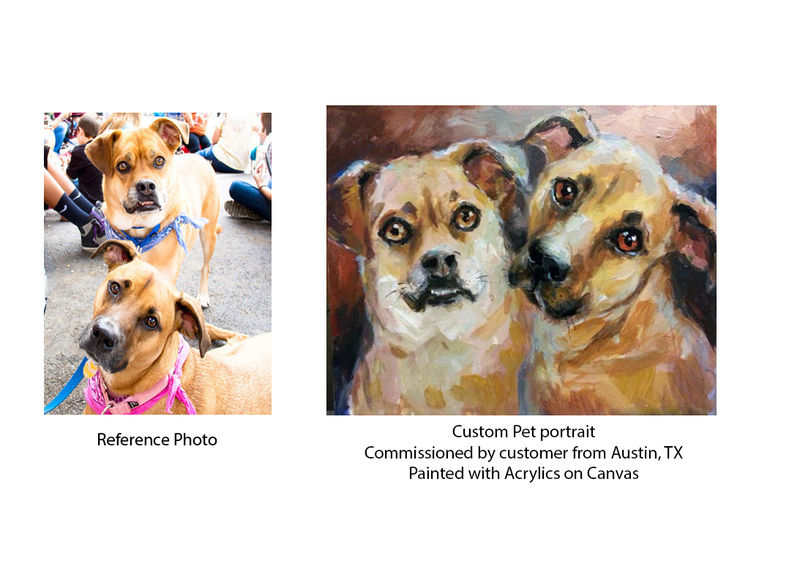 Portraits can be done in a realistic style, impressionistic, expressionistic style, or combination. 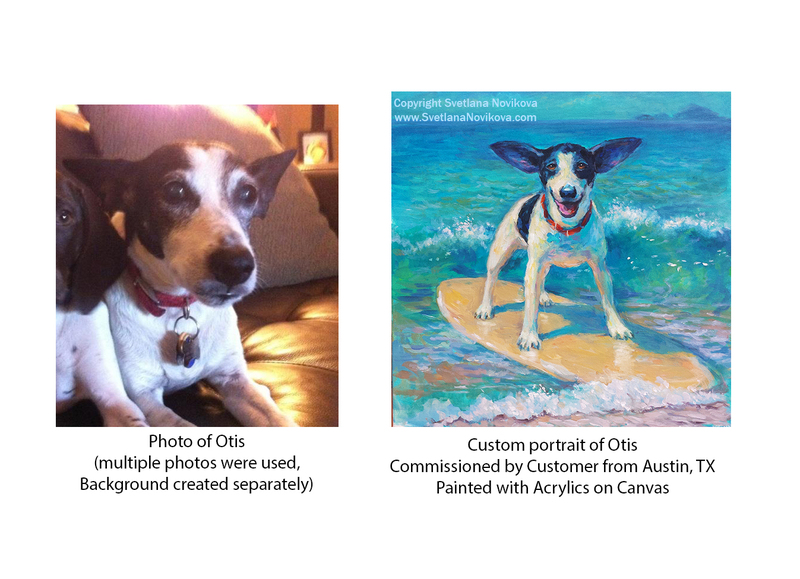 These portraits are ideal gifts or a lasting commemorative of a pet who is sadly missed. 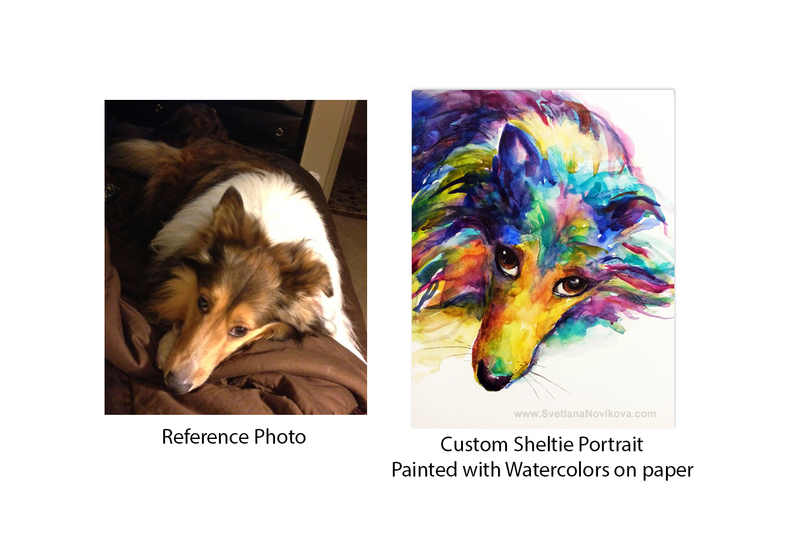 Please send me a clear crisp photo of your pet(s) and let me know of any specific ideas and requests. 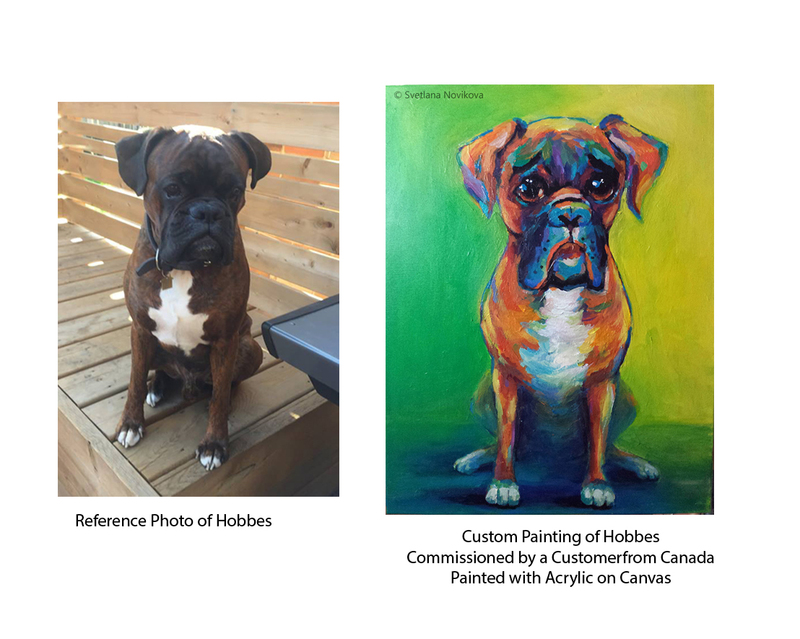 I'll work with you to implement your ideas into the painting, but the final creative decision will be left up to me. I usually require 1/2 deposit to start the painting process. Payment can be made by Paypal, Credit card, or check. 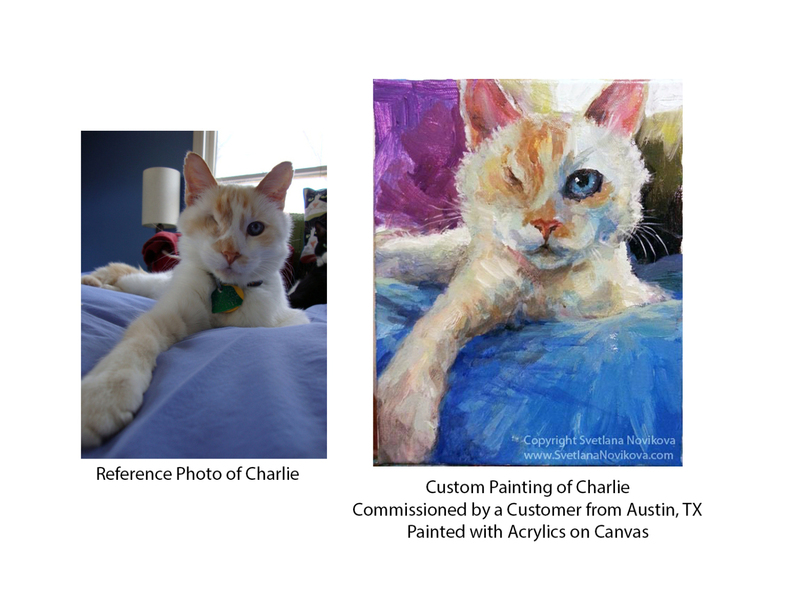 I can email you a rough idea draft before I start the actual painting to get your OK for a general direction. 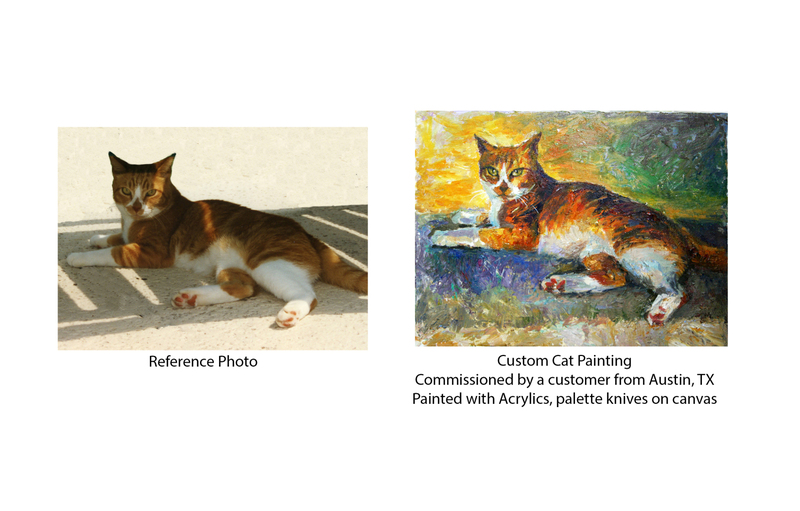 The painting process can take up to 2-16 weeks depending on the painting size, style, and my schedule. 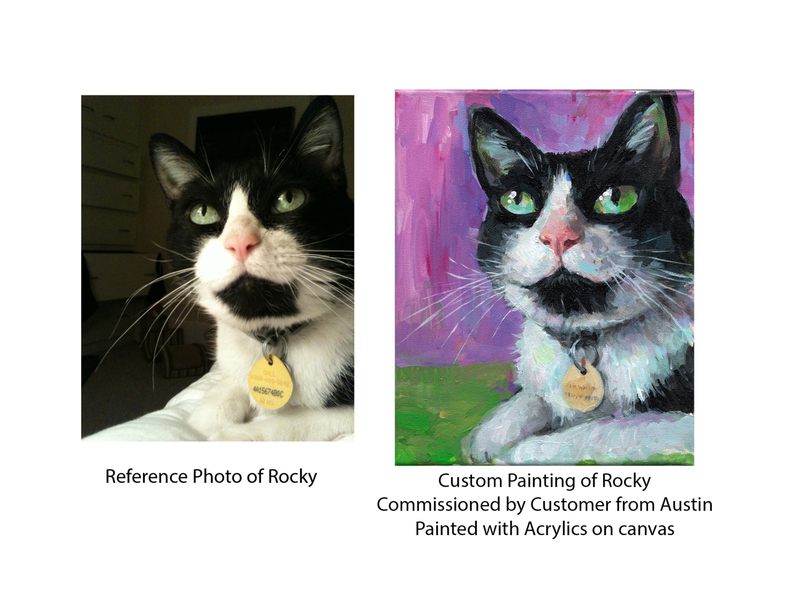 When I am done with the painting, I will email you the image for your approval and to see if any adjustments are needed. (Any adjustments and changes outside of agreed scope of work will accrue additional fees). When you are satisfied with the final work, the remainder of the balance is paid, and then I package and mail your painting. I retain all copyrights to the artwork.